RARE and nice 5 day a week business great for a family to operate or anyone wanting to have a nice income and still spend time with family and friends...YES WEEKENDS AND HOLIDAYS OFF! Not your typical restaurant business for sure! 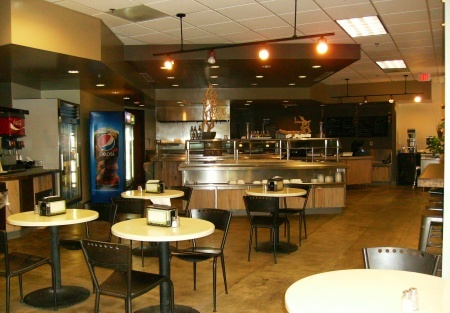 This business is located in a Premiere Business Complex in one of the Valley's most desirable communities. This restaurant was established in 1990 and has been in operation under current owner since 2013. REASON FOR SELLING: At that time buyer was looking for another business to subsidize her income from her other business that had been hit with some slow down due to market conditions but other business has rebounded and owner wants to focus energies on that endeavor. Currently the restaurant is open from 7 am- 3 pm Monday through Friday. Local business gives hundreds of their employees daily food allowance to be used in this Cafe, forming the current solid customer base. The other growing base are the other dozens of businesses in area who are discovering the great food and service. Current owner has not done any promoting of the restaurant to these businesses, leaving a new owner with great growth possibilities to expand on current operation. And catering is another oportunity that this owner, who was new to the restaurant business, has missed. The kitchen is well equipped and is set up to could handle far more food production. Als think delivery as another way to grow the business as well as clear street signage as the restaurant sit on the street with a large outside patio. Heck, put up some colorful and branded umbrellas too. Of course, you'll need landlord approval on the signage as well as the patio upgrades. Current sale average $25,000 per month+/- per Sellers Sales reports and tax returns. The projected adjusted income for 2015 is approximately $70,000 based on August 2015 results. SellingRestaurants.com has not validated these figures but has reviewed the Tax Returns and Owners Profit and Loss Calculation. Buyer must verify these figures as they have been reflected by sellers P&L statement and projections . So to get pictures, name and address please go to tab below and see if this is not a great business for you. Please go to SellingRestaurants.com to get the name and address of this listing!